The Washington Post seems almost shocked that Trump would be going with “Merry Christmas” rather than “Happy Holidays”, as we saw with the previous president. Gone were the “Season’s Greetings” that the Obama family placed on their Christmas cards. The Trump family’s official Christmas card reads: “Merry Christmas and a Happy New Year.” The dominant color scheme is an old-school red, green and gold. And the official hashtag? 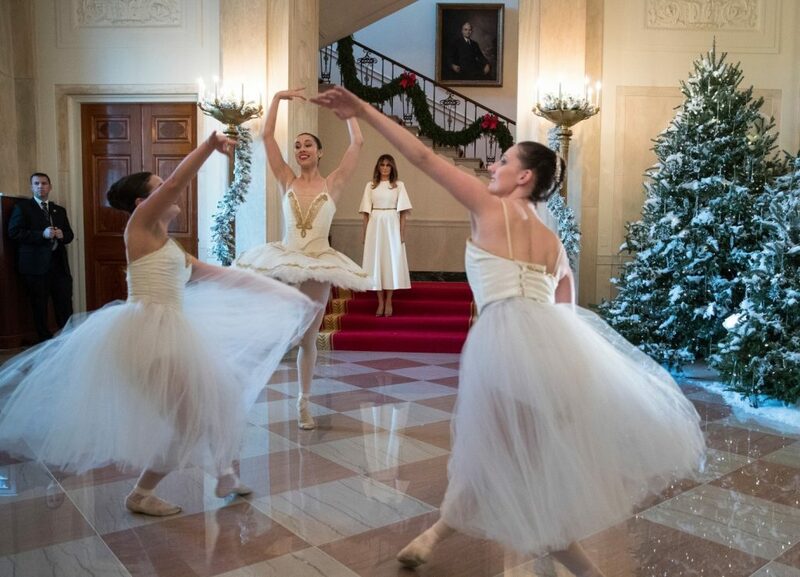 #WHChristmas. The decorations include natural details such as magnolia leaves, amaryllis and pine cones. More than 150 volunteers from 29 states helped to put up the displays. In the Green Room, framed presidential silhouettes are strung on garlands and placed on antique tables. Red-and-white peppermint candies fill jars in the Red Room, which also features two traditional cranberry trees — Nancy Reagan’s favorite holiday decoration. But first, the Trumps will host more than 100 open houses and other receptions at the White House. The first lady’s office expects more than 25,000 visitors will take part in public tours. But even in Donald Trump’s White House, it won’t be all Christmas all the time: There is an official Hanukkah celebration, too. There’s nothing inherently wrong with “Happy Holidays”, because you have Hanukkah, Christmas, and New Year’s. However, Progressives used Happy Holidays as a way to shame people into not saying Merry Christmas. They were apoplectic regarding the notion that Christmas is a Christian holiday (though almost none refused to not take the day off and/or refused holiday pay). They do not want anyone to see religion in public (well, the Christian and Jewish religions. They’re cool with Islam). I’m betting there are no Chairman Mao, drag queen Hedda Lettuce, nor Trump’s face on Mount Rushmore ornaments.